Solar Whiz fans from SOLAIR are powerful solar powered heat extraction fans that operate completely off the grid and are ideal for solar roof ventilation. 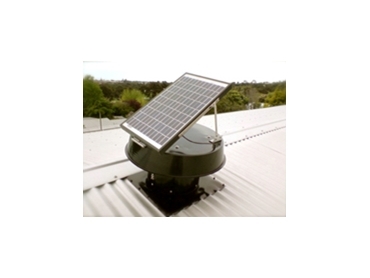 Solar Whiz heat extraction fans eliminate the heat build up in a pitched roof and reduce the heat load, which is radiated back down on lower ceilings or directly onto horses. This results in lower internal temperatures and reduces the inherent heat stress placed on horses. Safe low voltage installation – No electrician is required.